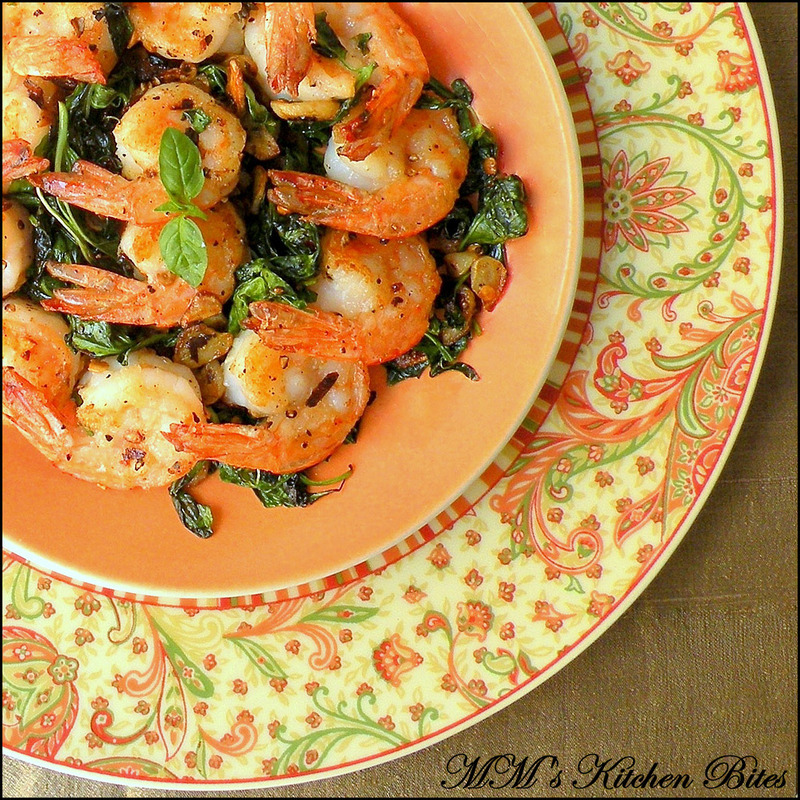 MM's Kitchen Bites: Basil Garlic Prawns...over, under or tossed around!! Basil Garlic Prawns...over, under or tossed around!! Pat dry and put them in a bowl. Season the prawns well salt and pepper. Liberally sprinkle cornflour on the prawns, toss around in the bowl and then remove them on to a plate shaking off the excess cornflour. Heat 2 tbsp oil in a large flat pan. Add the prawns – laying them out in the pan in a single layer. Let the prawns cook for a minute or two on each side – till they go pink and crisp. Remove with a slotted spoon and keep aside. In the same pan, add the remaining 2 tbsp olive oil. Add the chopped garlic. Fry the garlic till it starts getting crisp and golden brown. Add salt, red chili flakes and basil leaves. Basil leaves will splutter quite a bit (same as the curry leaves ) so stand back. Let the leaves get crisp and switch off the gas. Serve over, under or tossed around with the prawns…but serve this one piping hot! No Basil leaves? Use curry leaves and dried red chilies or fresh green chilies. Replace cornflour with rice flour as well if you want.